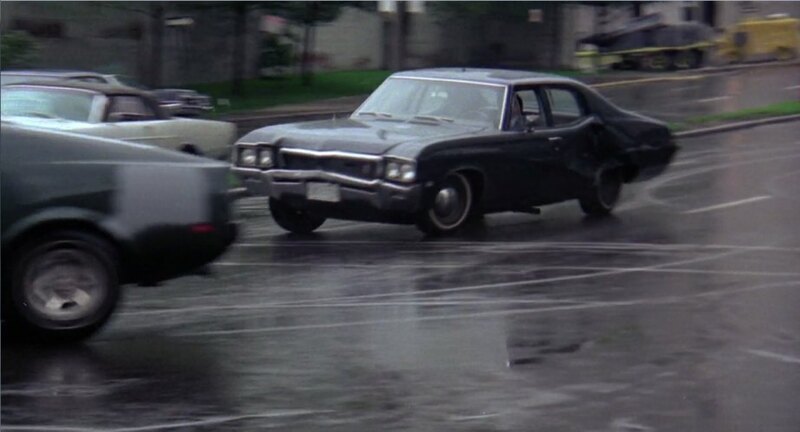 IMCDb.org: 1968 Buick Special Deluxe Four-Door Sedan in "A Special Magnum for Tony Saitta, 1976"
The car is so banged-up in the pictures provided that it's hard to tell, but assuming you're talking about the car on the right in the main pic, it's a '68 or '69 Buick Skylark. 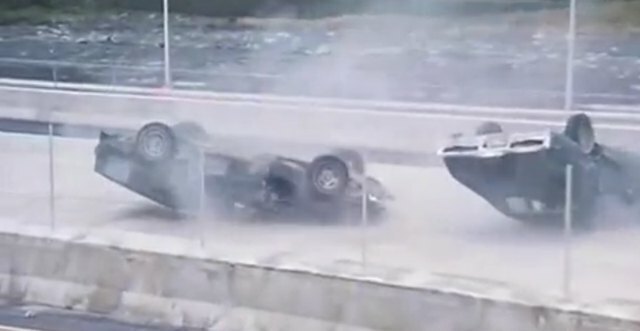 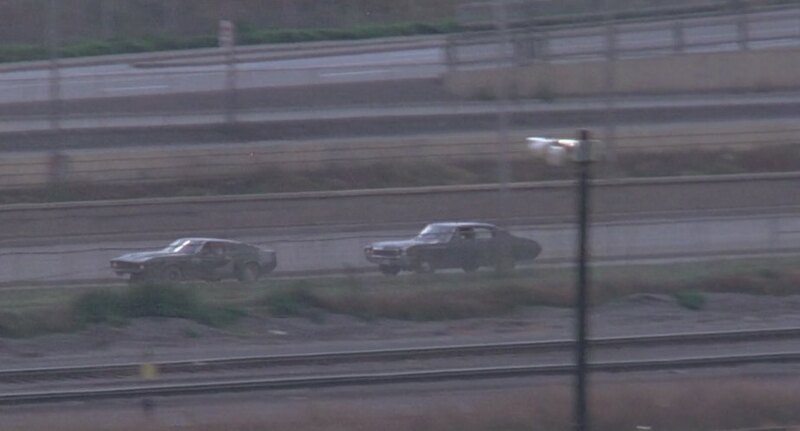 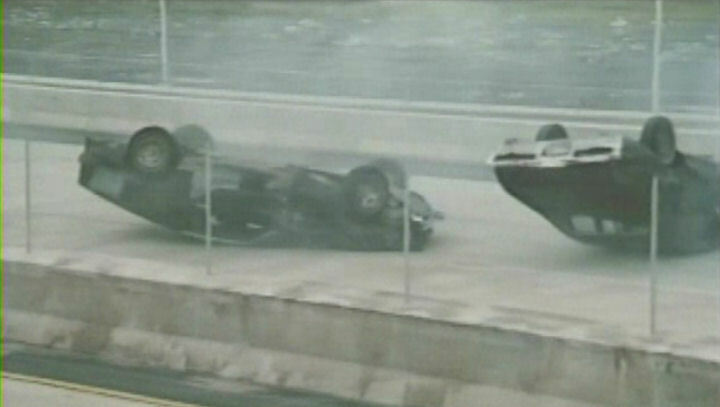 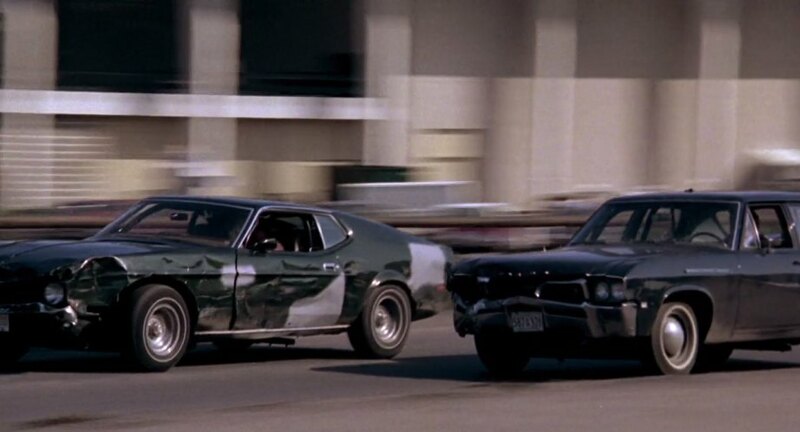 The car on the left is the other chase car, the Ford Mustang. 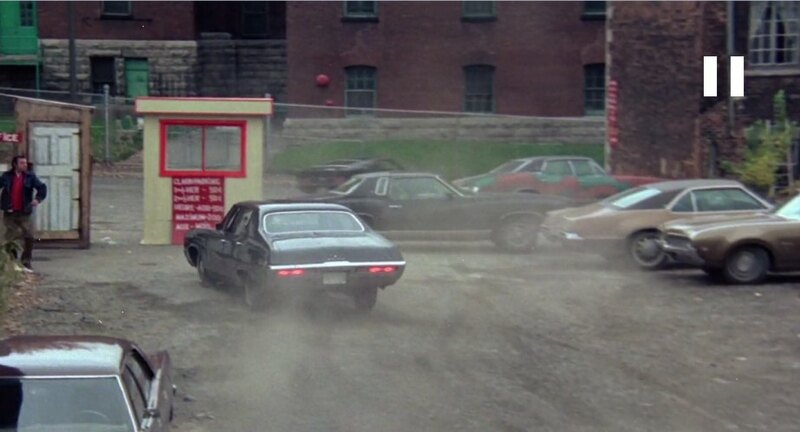 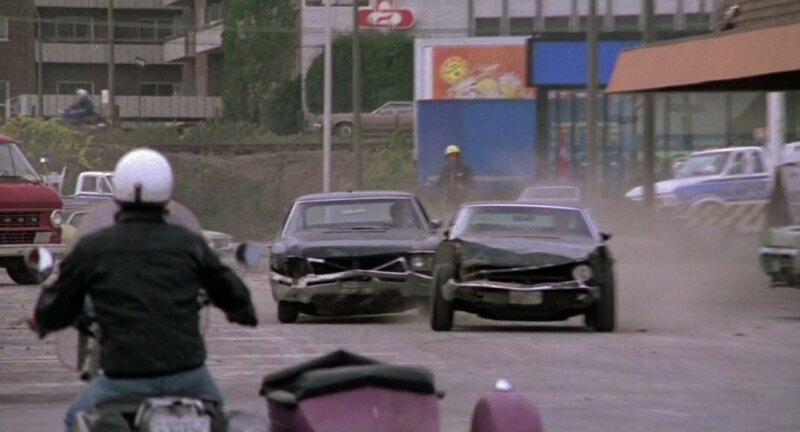 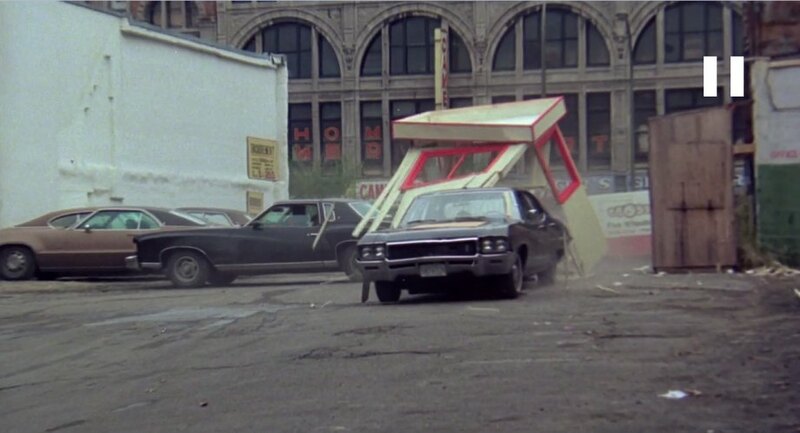 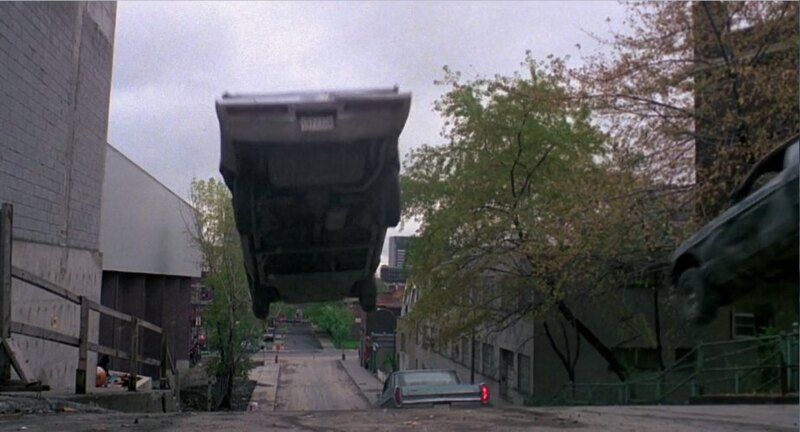 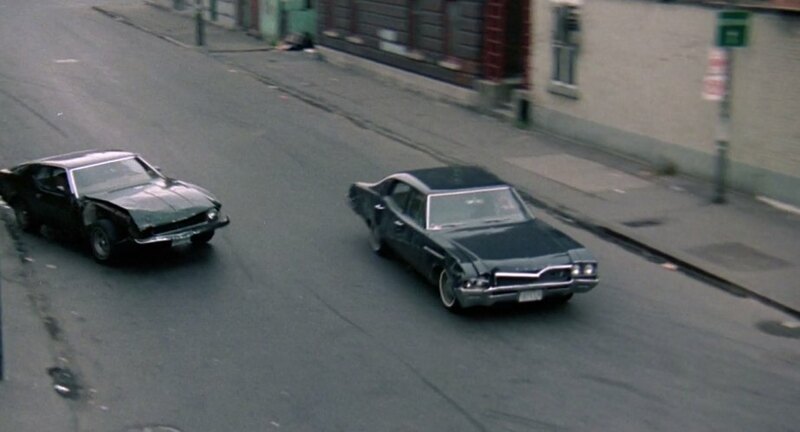 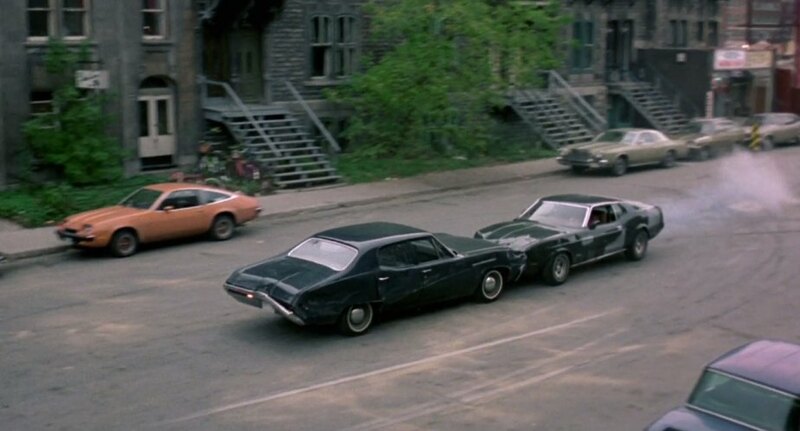 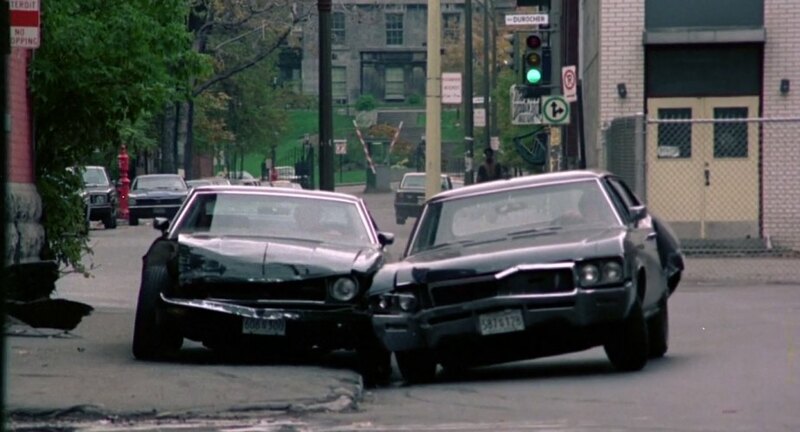 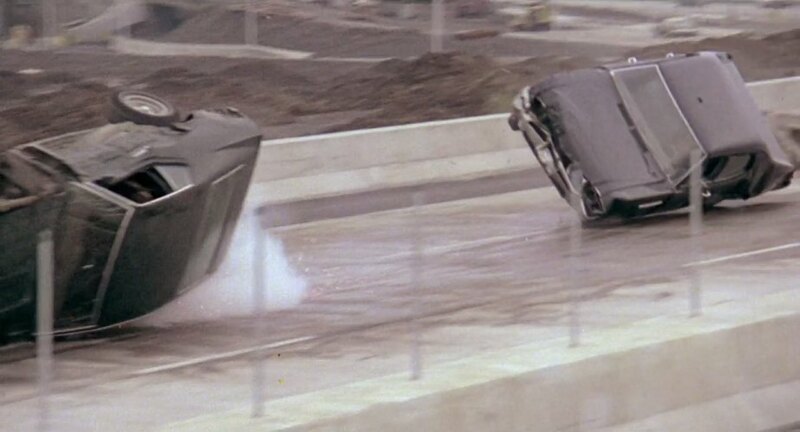 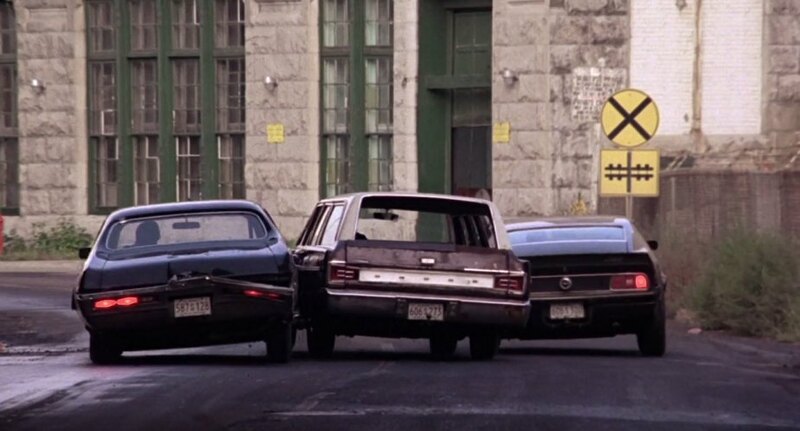 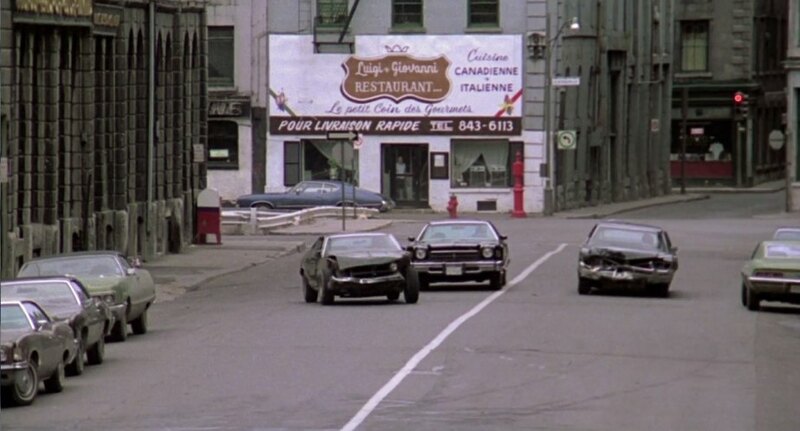 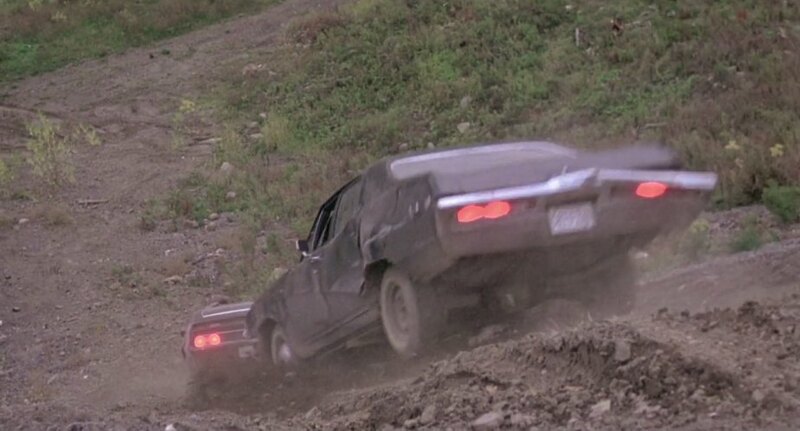 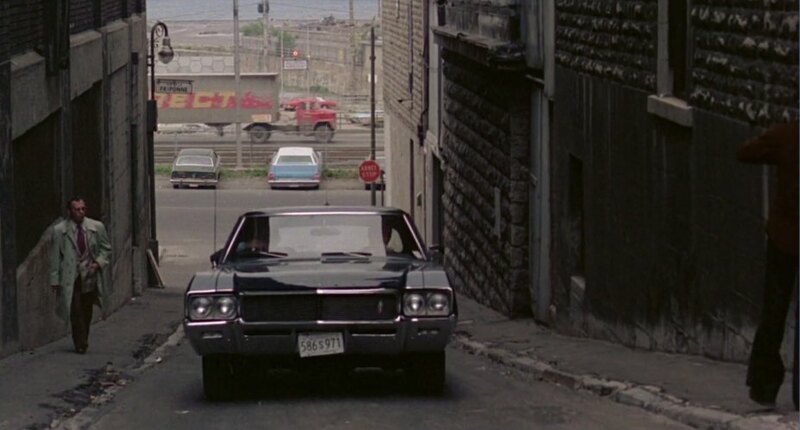 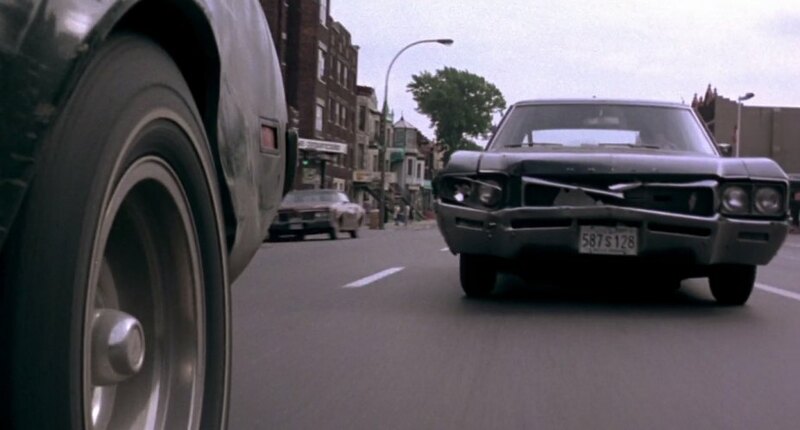 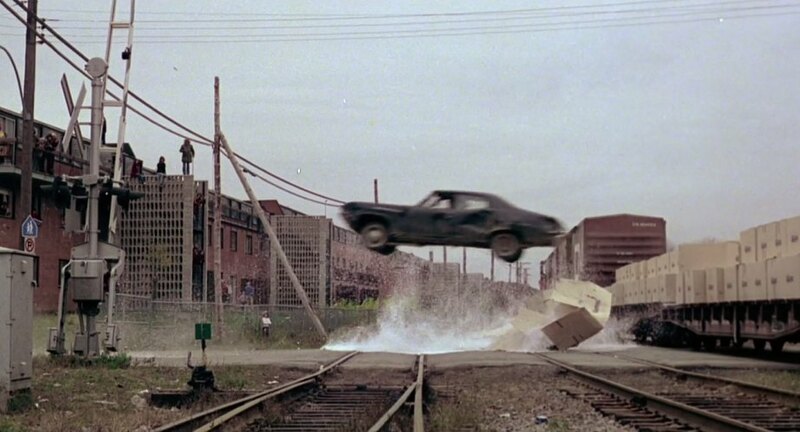 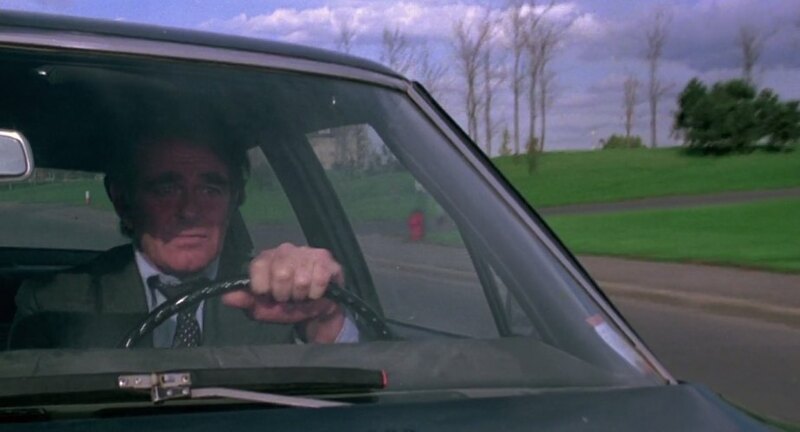 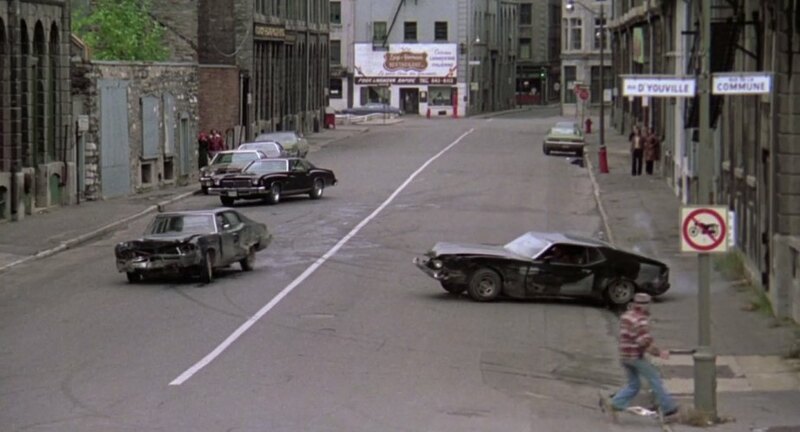 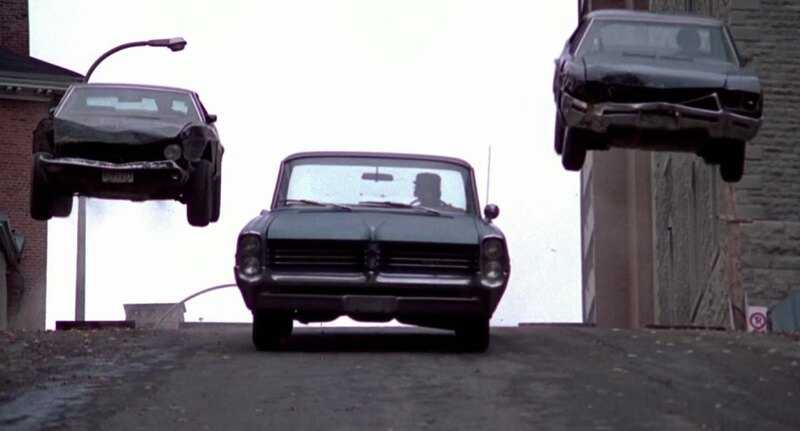 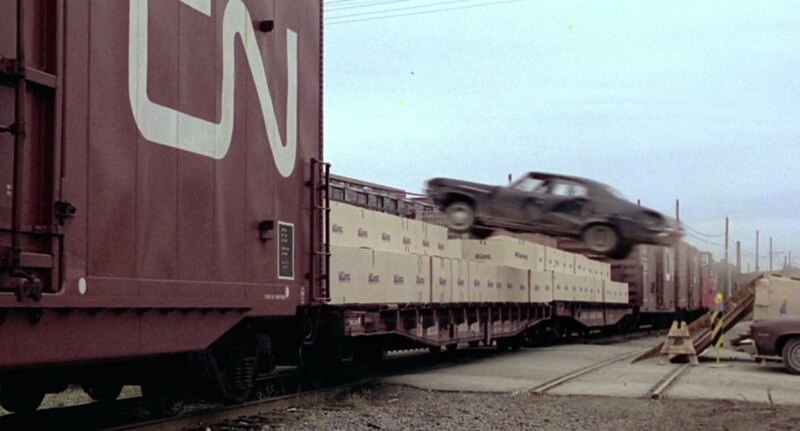 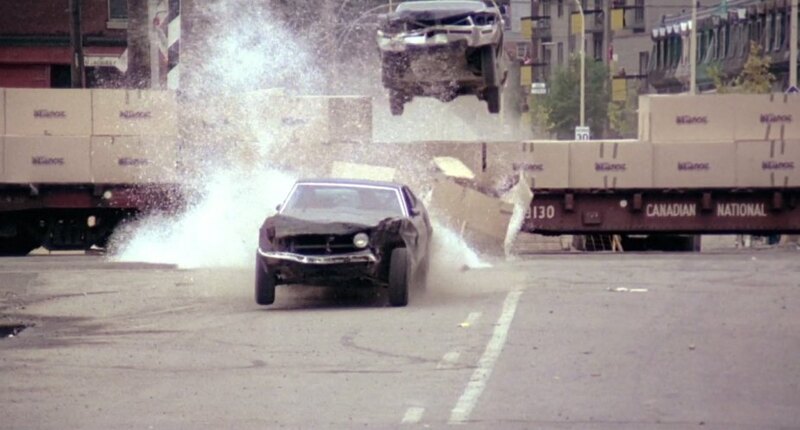 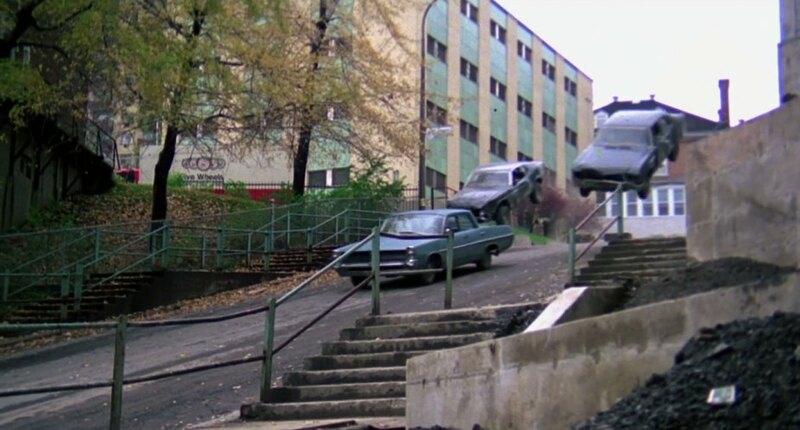 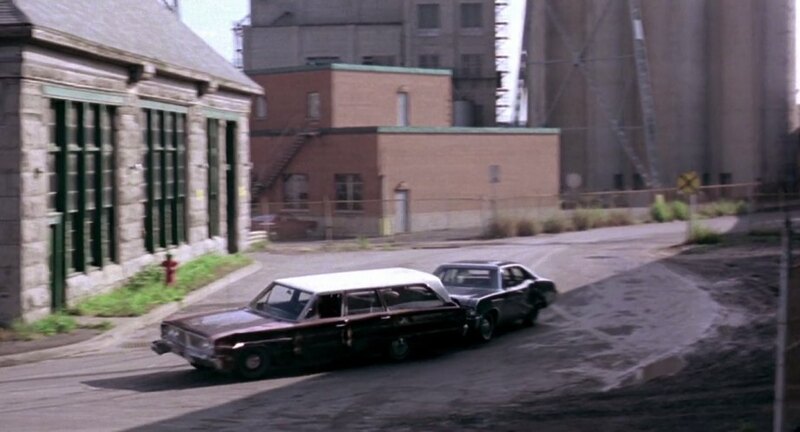 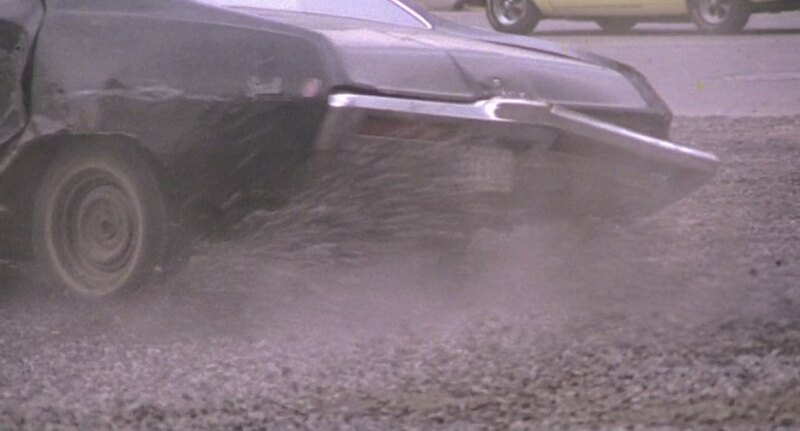 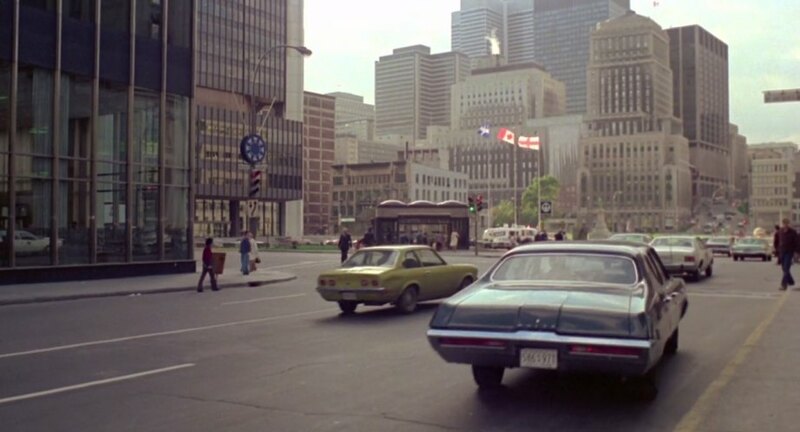 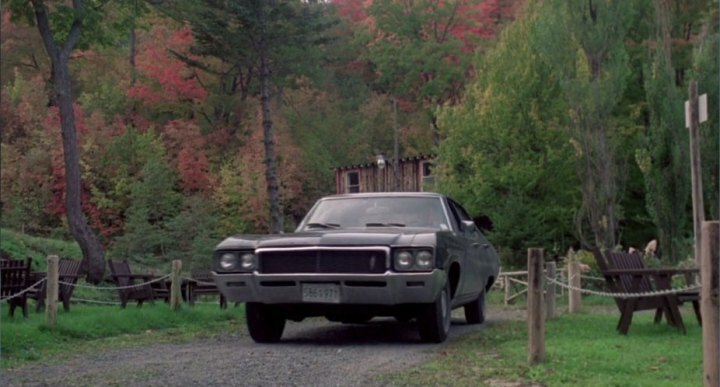 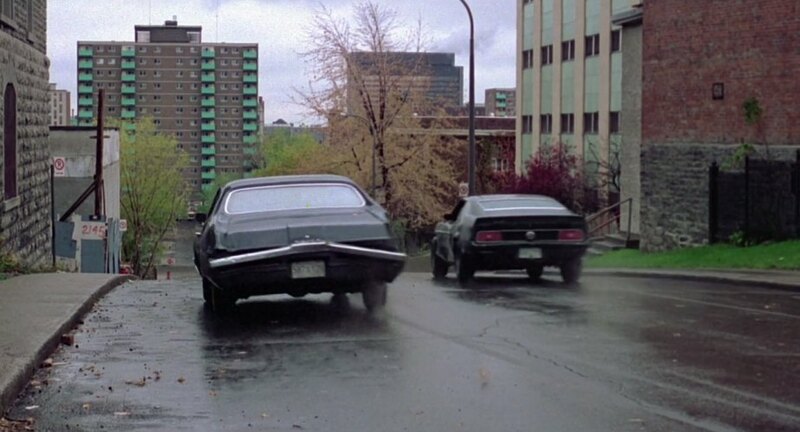 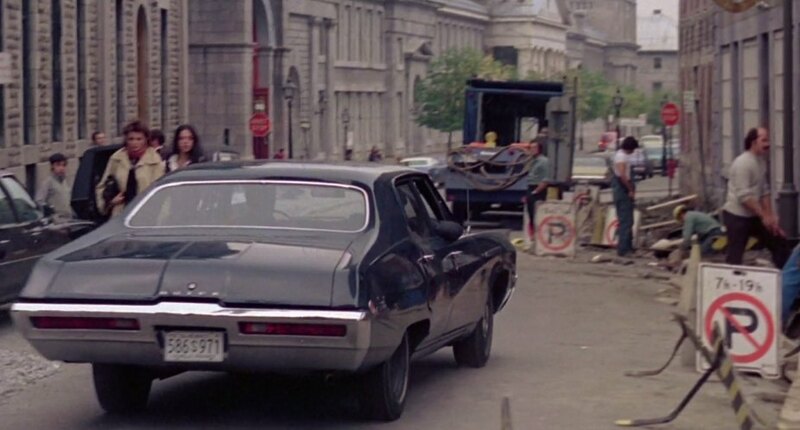 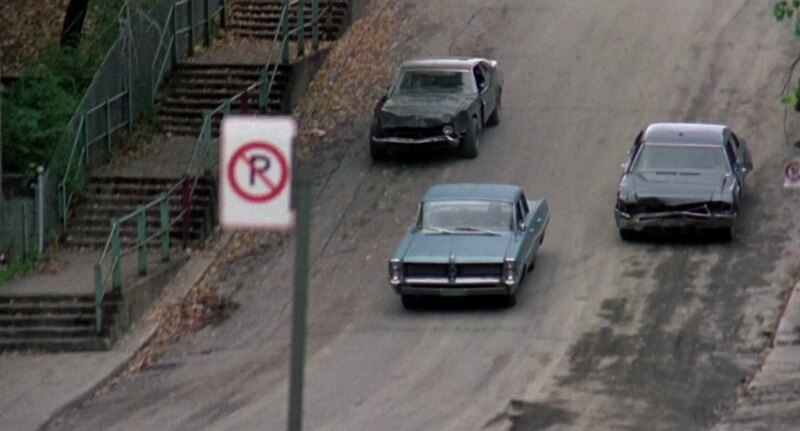 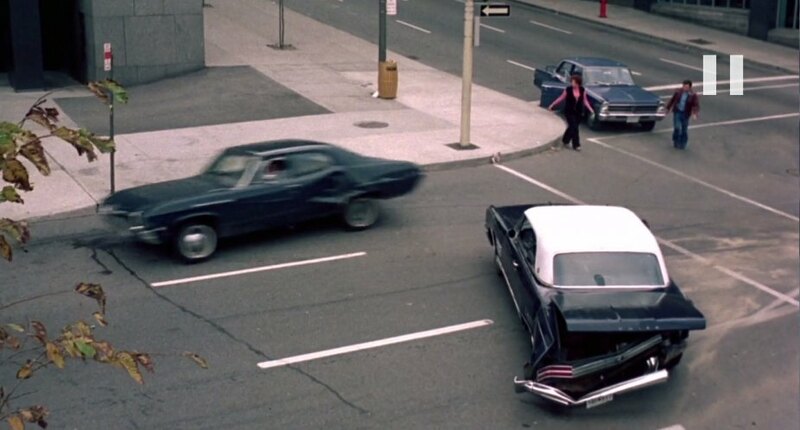 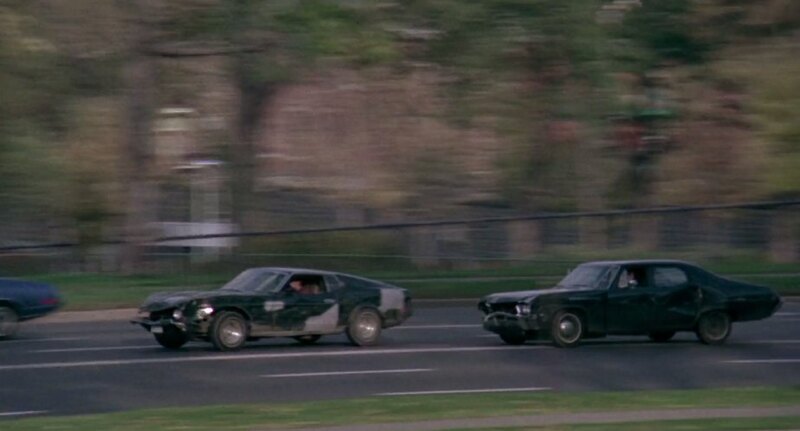 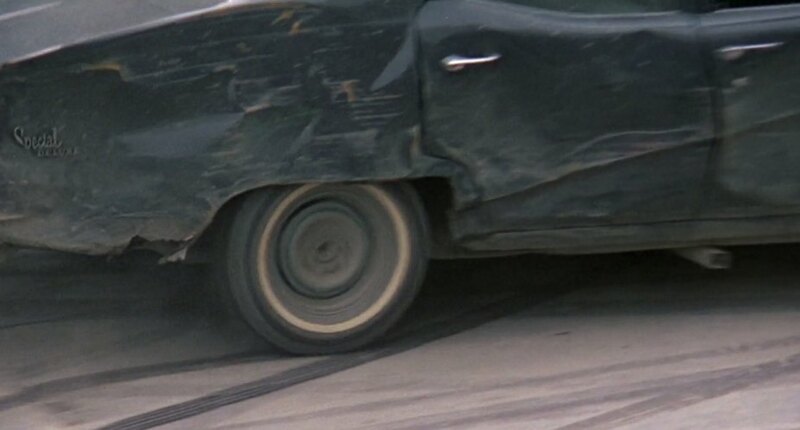 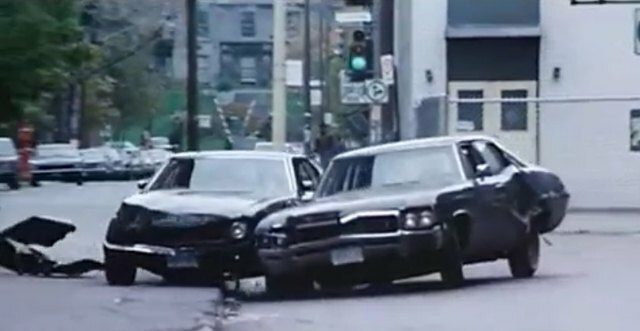 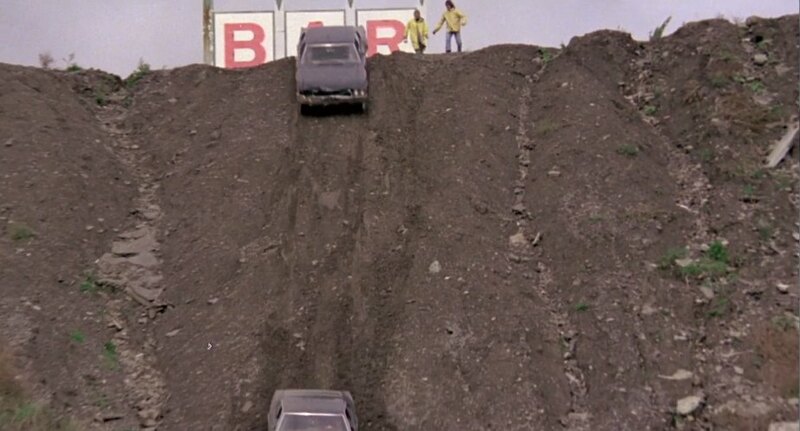 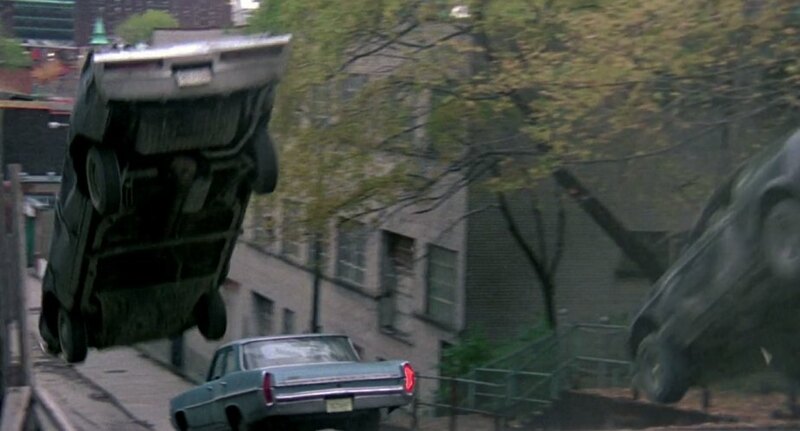 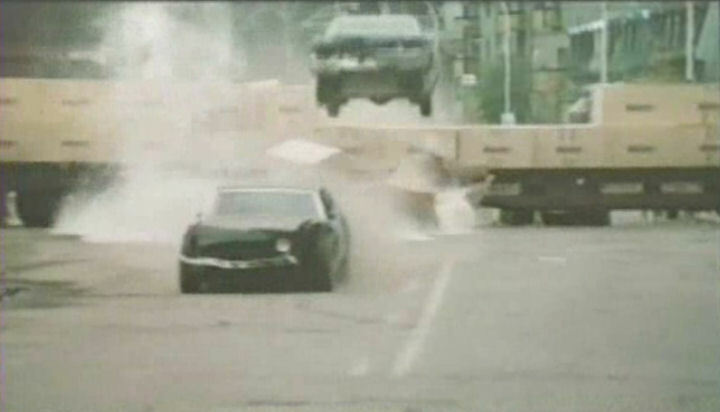 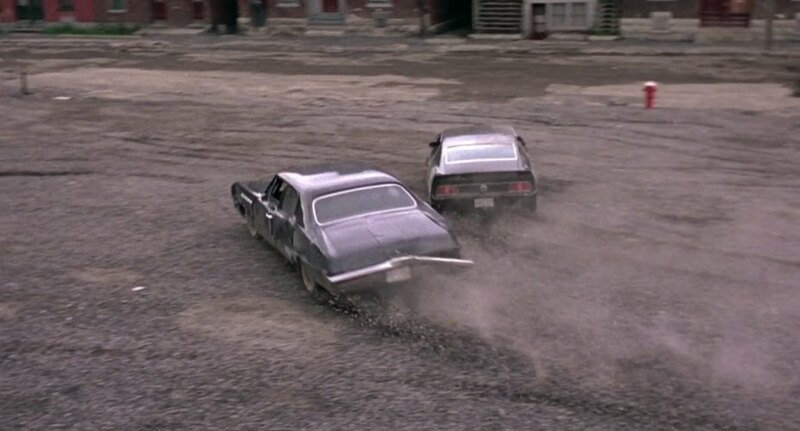 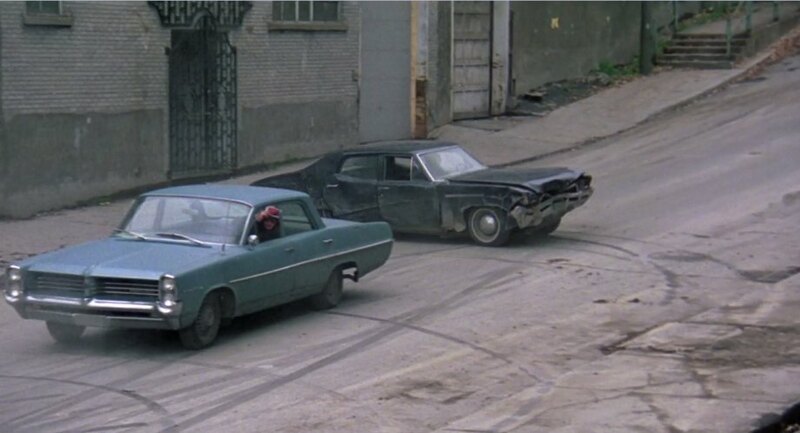 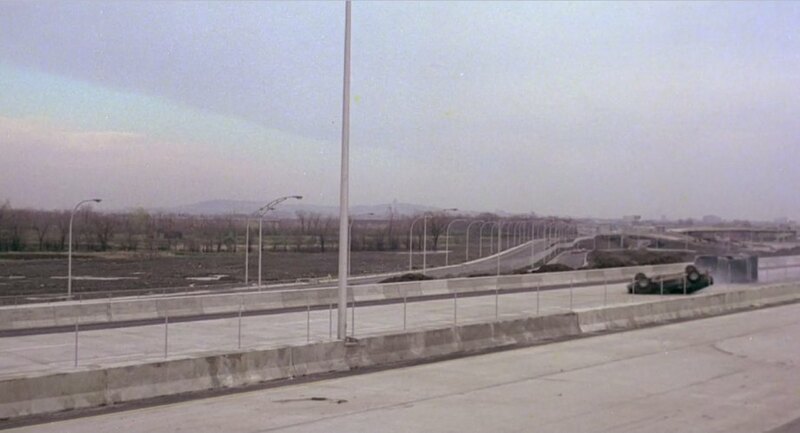 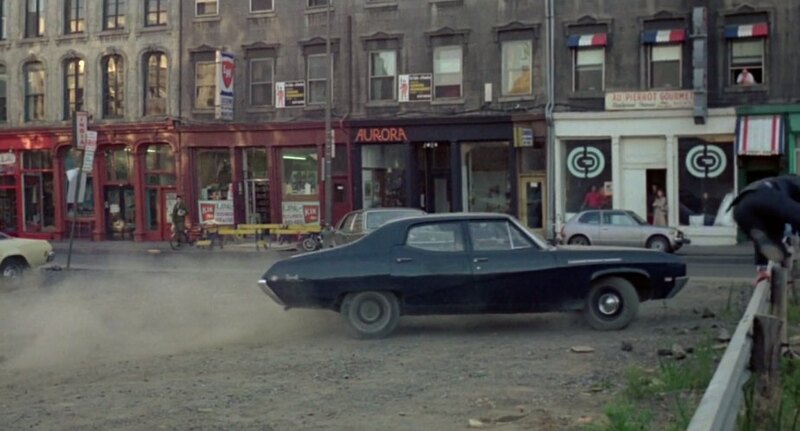 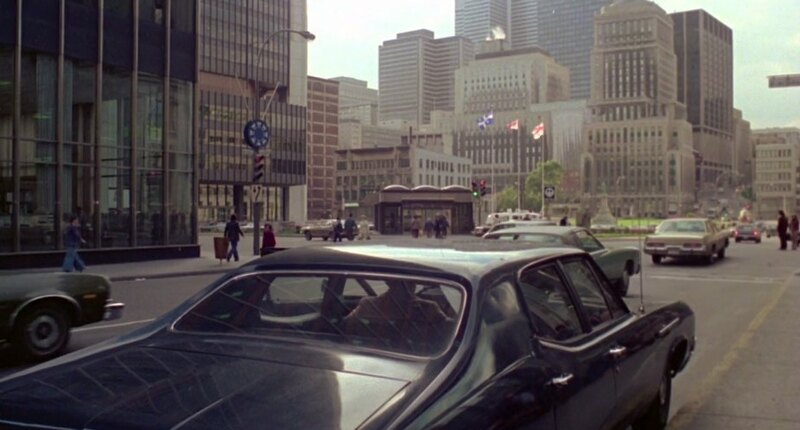 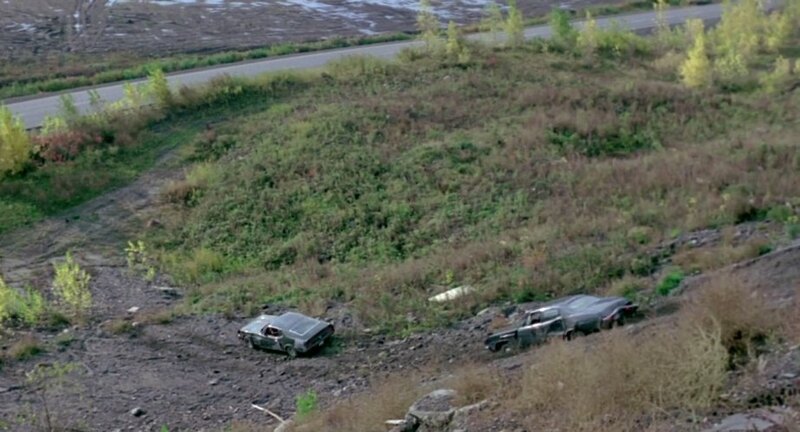 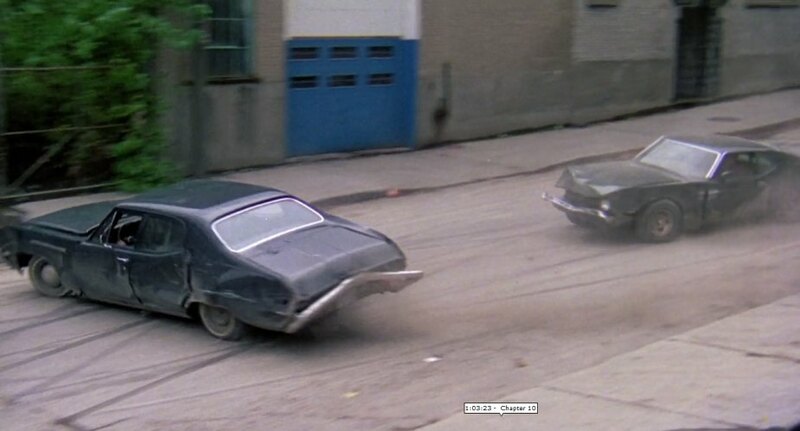 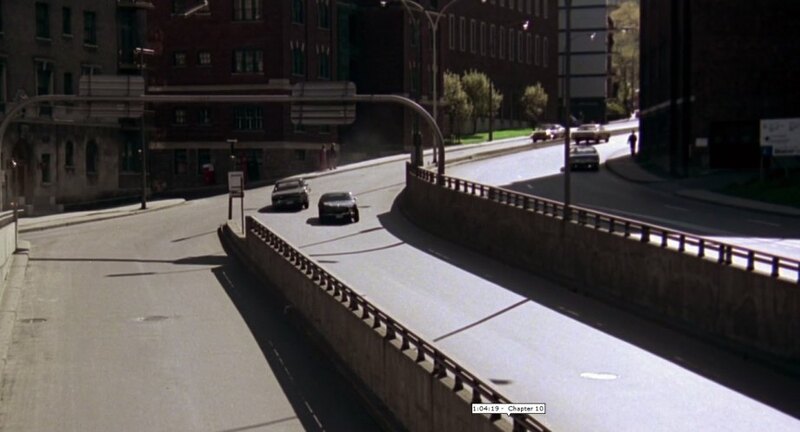 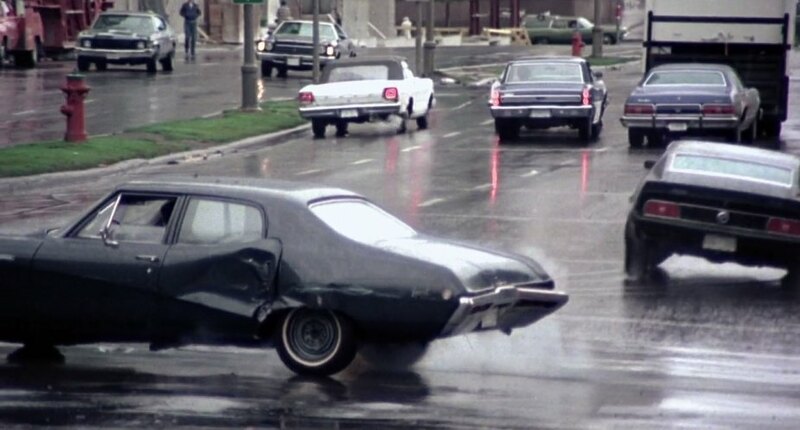 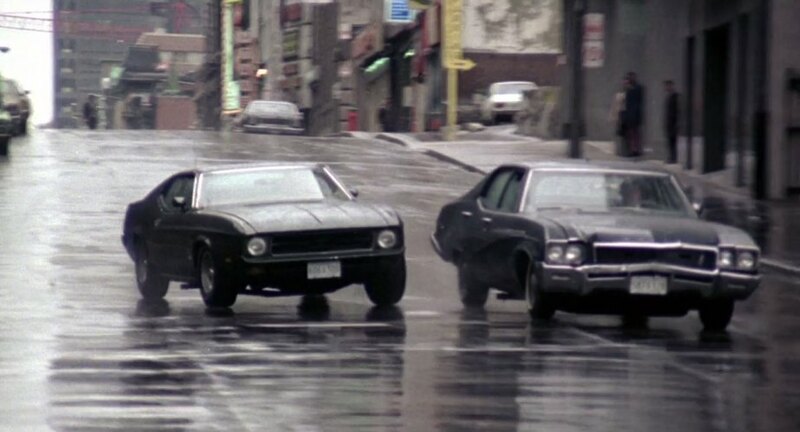 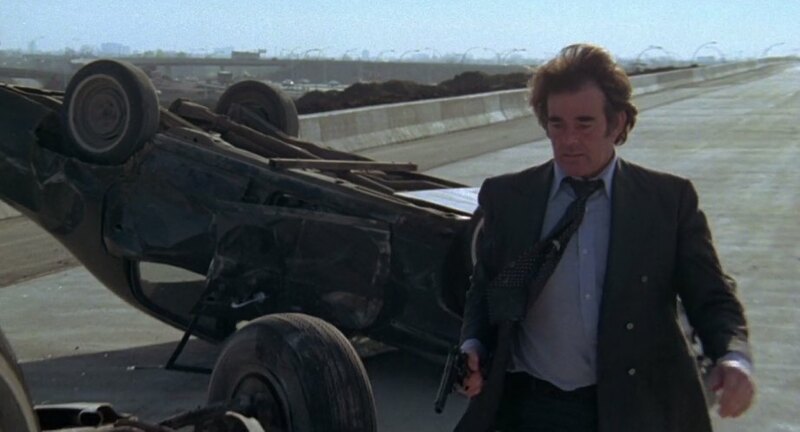 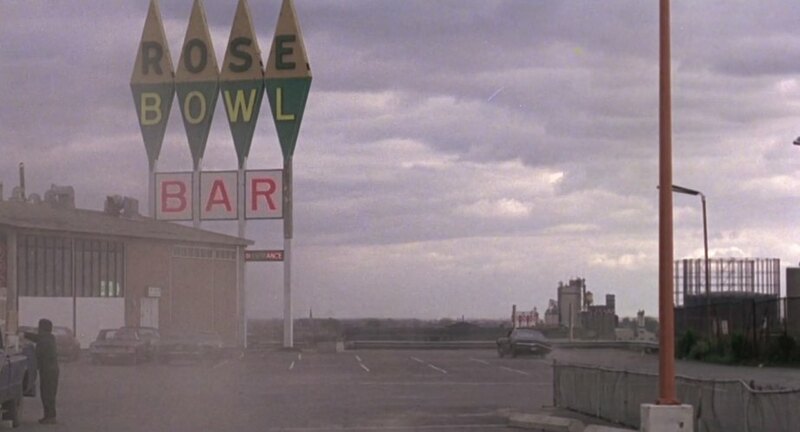 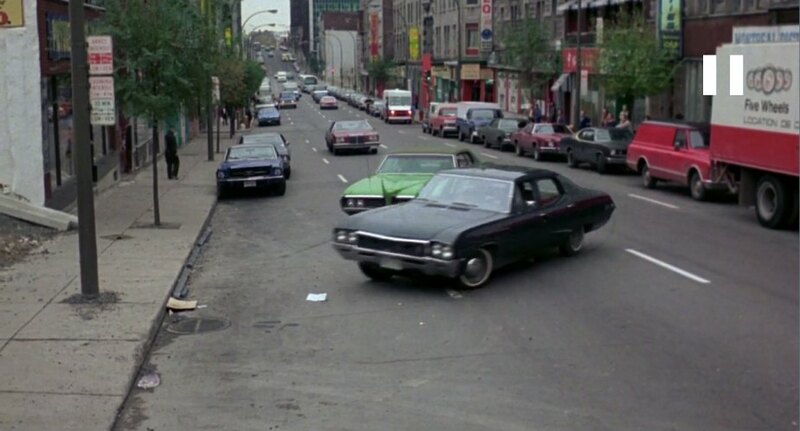 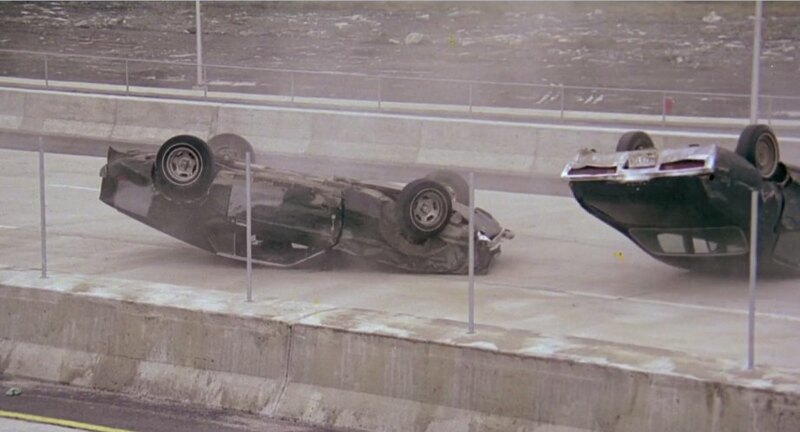 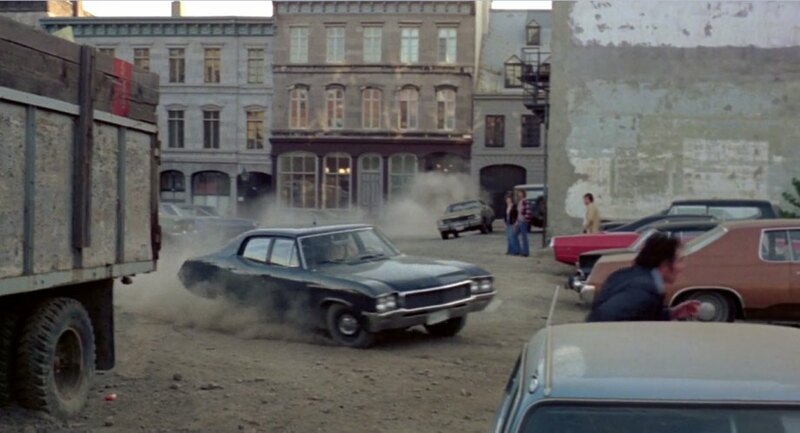 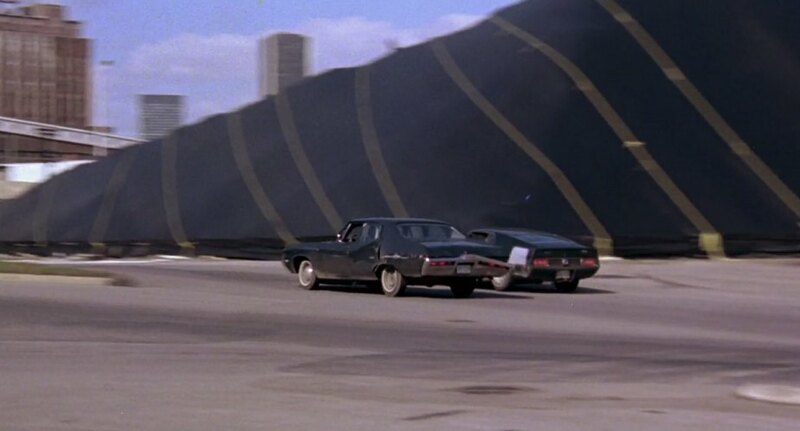 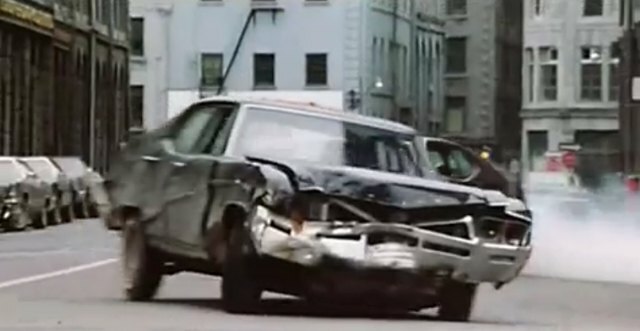 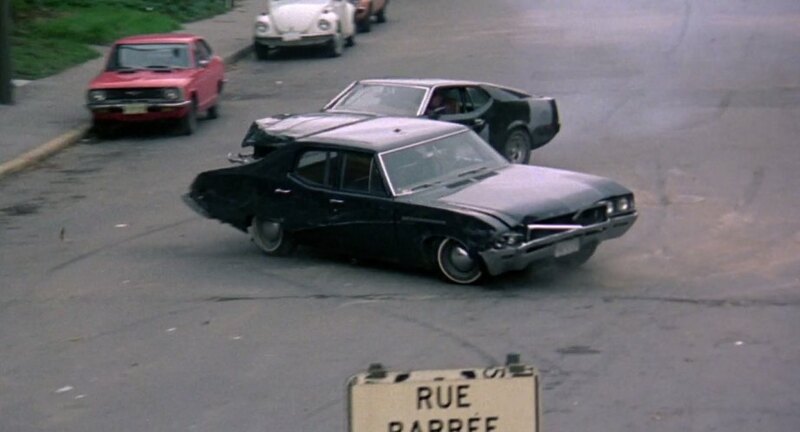 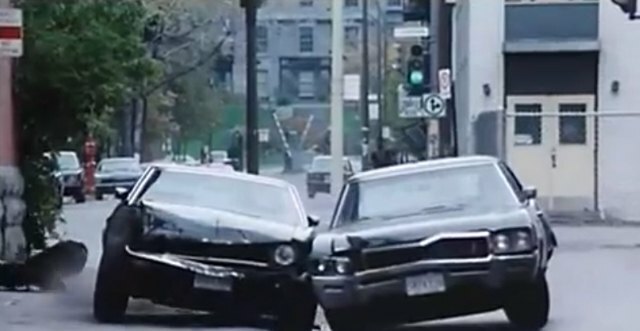 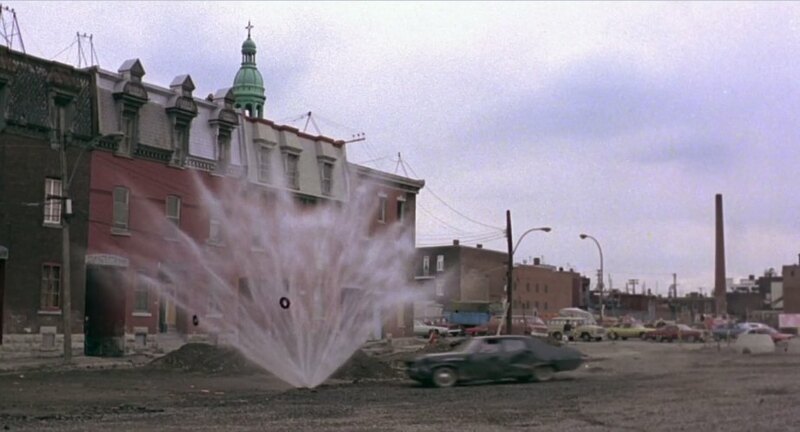 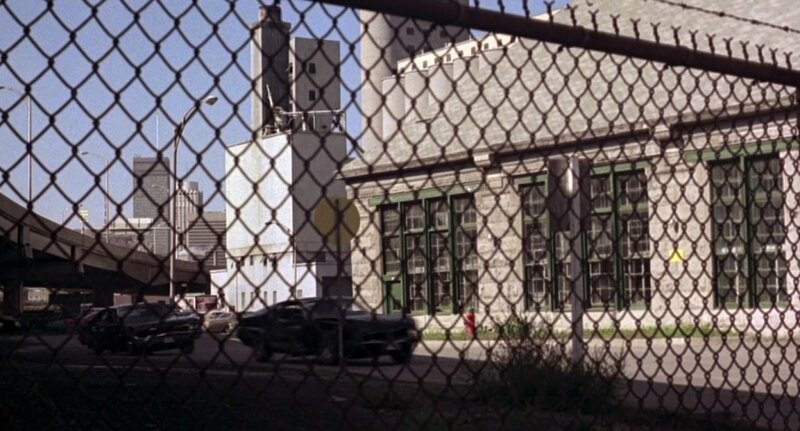 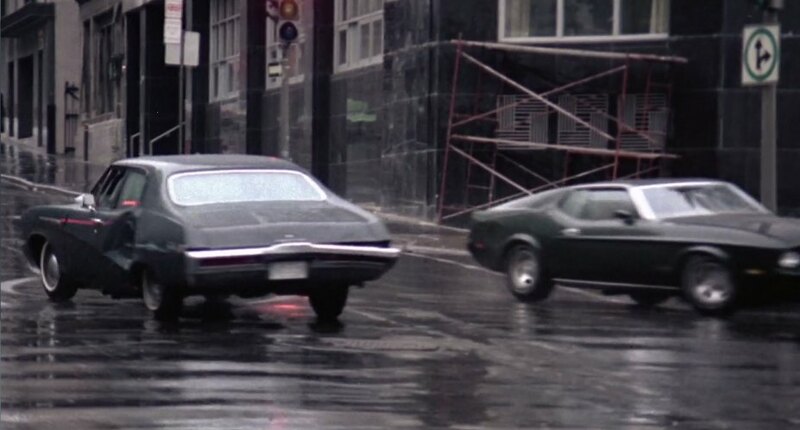 Since this movie was filmed in Canada, there is a lot of chances that this car was made in Canada (Most Skylarks sold here were made in Oshawa Ontario. 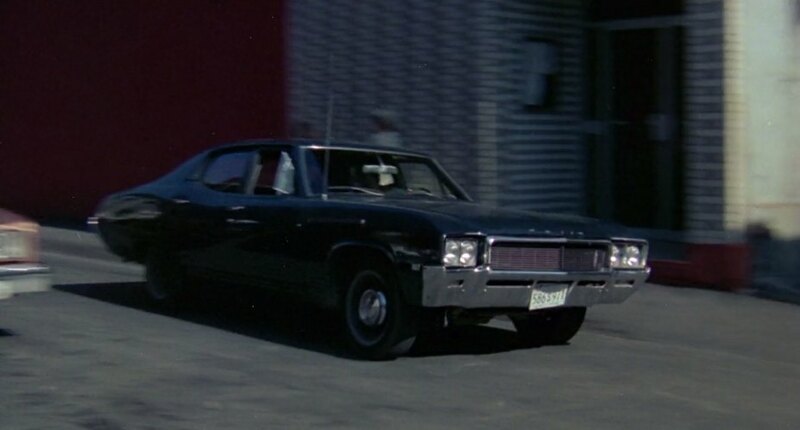 I just watched this on YouTube, the car is a 1968 Special 4 door sedan, not a Skylark. 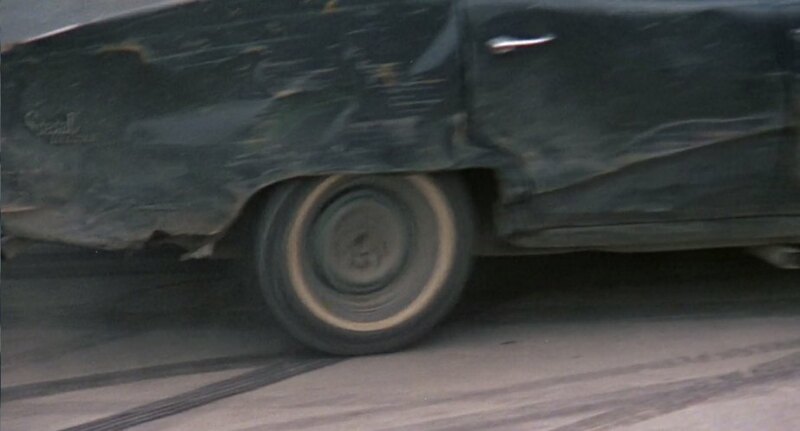 Should this be a 4-star car, rather than 3? 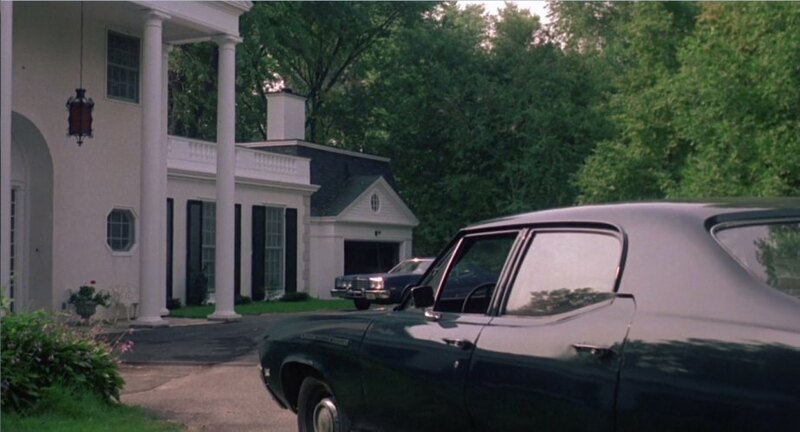 I think she deserves 4. 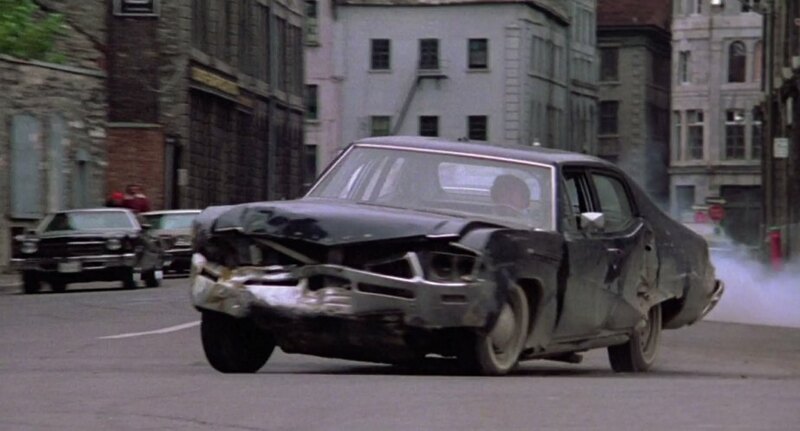 The badge says Special Deluxe.